This is the book that inspired me to start this blog. 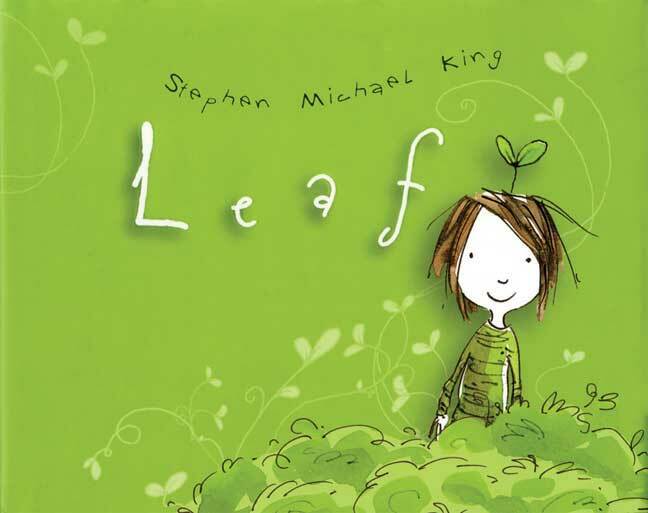 Leaf by Stephen Michael King has no words, only “sound effects”, and is sort of a child’s comic book. We stumbled upon it during one of our weekly library visits, but I think this one warrants purchasing. Iris is at a very chatty, curious age. From the moment she wakes up she’s yammering away, like the lovely crow/rooster that wakes us the instant the sun pops its head over the horizon, but much cuter and less grating (mostly). This behaviour is very apparent when I read to her. She has, at the age of two and a half, mastered the Who, What, Where, Why and How. When you’ve got a book with words to get through, this can be a tad disruptive and the plot can go wandering off in a huff in the midst of her barrage of questions. She also has a tendency to fill in the story herself when she doesn’t like or understand what she’s hearing. 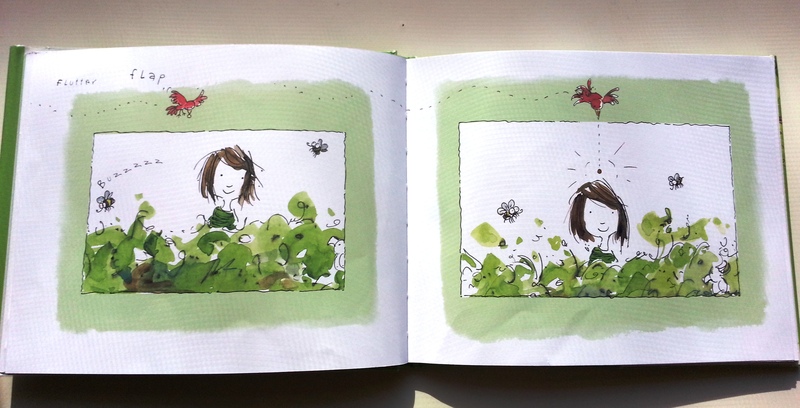 Thus a book without words was a very refreshing change. Unlike picture books for infants, this one has a plot with main and periphery characters and sound effects! Avid readers for children will always appreciate books with sound effects, especially ones such as “snippity snip”, “boing”, “woosh”, “flip” and “flap”. Being an inveterate tom boy, Iris absolutely identifies with the scruffy little boy (we all thought it was a girl at first) running away from his mother’s hair clippers with his equally scruffy dog. The happenstance of a bird dropping a seed on the boy’s head that sprouts almost immediately into a little plant injects a subtle taste of fantasy. Unlike with word books, Iris was silently riveted from beginning to end . Perhaps it’s because it allowed me to tell the story to her in a voice and in words that she could more easily understand. 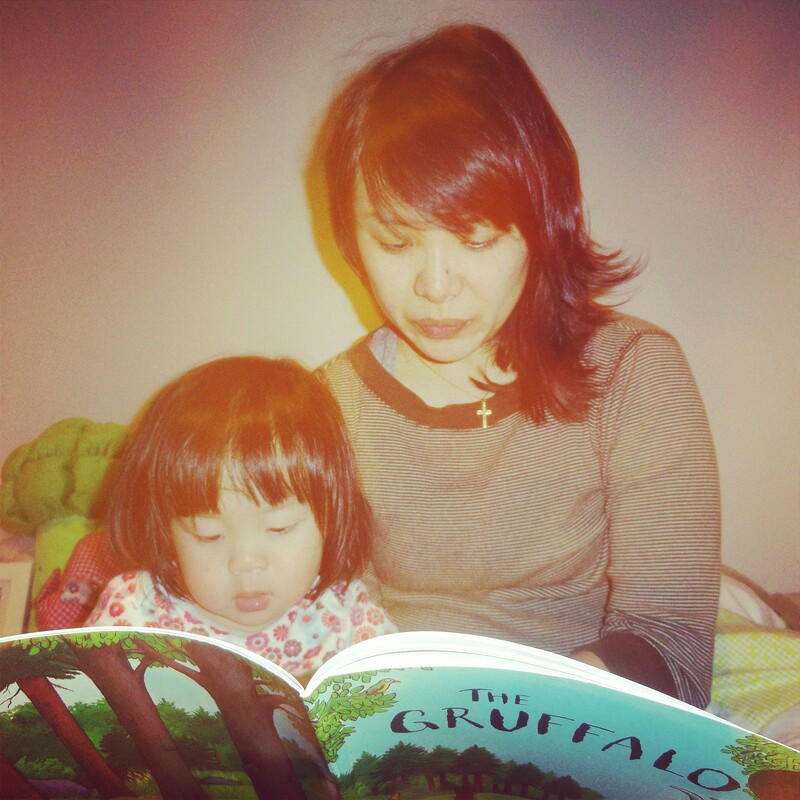 While it is necessary for children to increase their vocabulary through reading, I think there is a forgotten gap when toddlers her age can most benefit from more basic language. With most word books, she asks “What?” every other line because she doesn’t quite understand what is written and I end up having to simply the language anyway. This is, so far, our favourite Stephen Michael King book. While the others we’ve read are enchanting in their own right, none of them compare to Leaf. It’s one of those books I really don’t mind reading again and again because after a few times, I didn’t have to say anything. We just sat flipping the pages in unified enjoyment. Later, when she gets older, Iris can write her own story to the pictures or use it as a guide to make her own wordless book. Flutter! Bzzzz! Boing! I’ve always love commercials with no words or only a few but I never thought of a book with no words, only sound effects. Do you have a family story that you could tell without words? It is food for thought for me. What do you think? Thanks! Surprising that it isn’t more popular and the book is also not as easy to purchase as I thought! Hi! Thanks very much! Being new to blogging in very glad for any support. Yes, I’ve found a few good resources. I’m traveling at the moment so once I have access to my pc again I’ll send them along. Almost all that I’ve come across are sort of reviews of the books and some are an exhaustive list of books and how they’re good for your kids. However, I’ve not come across any that are about the adult’s enjoyment of the books, which is what my blog is about. But I haven’t really looked into that many so perhaps you’ll find a few more as I’m sure there are. Thanks again for the visit(s)!